The iPod video is known as the last generation of iPods, which surprised the market and the sales since its appearance. Basically, this new device is able to play videos. If this seems like fun, the technical part might need some guidance. Firstly, you should know that both the PSP and iPod can play H.264 / MPEG-4 encoded videos with AAC audio tracks. Due to this fact, the resolution is rather limited, together with the limitation of the bit rates that you can use on the device. For the new iPod video, this limits means (for the H.264 video) up to up to 768 Kbps, 320 x 240 and 30 frames per second. For the MPEG-4 video, the limits are up to 2.5 mbps, 480 x 480 and the same 30 frames per second. Even more, the AAC audio bit rate is around 160 Kbps. After establishing these limits, the next step is to establish the source of the video, which can be either from a DVD or a video of the computer. In other terms, the company Apple claims, in a purely informative ad which is posted on the official website, that the new iPod, as they call the new iPod video, can store 15, 000 songs, 25, 000 photos and not less than 150 hours of video. If wanting to get a video from a DVD, then the first thing you should do is to insert the DVD in the device. After this, you should open (in case it doesn’t immediately open by itself) the DVD, using file and open DVD from the menu. Check the options in the DVD menu, to set up everything as you like, meaning language, subtitles or chapters. Begin playing the movie, using the DVD menu to navigate. When the movie begins, you should press the record button and select the folder in which you want to store the recorded files. When you want to end the recording, simply click the stop button and if the recording goes well, there will be a screen confirmation that you have converted your file successfully. If you wish to convert a video from your computer to your iPod video, then the first thing that you should do is go to the menu file and click open video file. After this, your video is supposed to begin to play, the perfect moment to adjust the video as you like. Also, you can set the perfect moment to start the recording, using the bottom playback controls. When you decided this, click the button record and feel free to stop it at any time. After recording, just like in the case of importing videos from a DVD device, there will be a message on the screen saying that everything went on successfully. If respecting these basic rules, the videos and movies will be stored carefully in your iPod and you will be free to watch them, at any time. Still, be aware of the fact that the iPod offers limited space and resolution, which means that you should be picky when deciding what to keep and what to delete. The new iPod video is a challenging and innovative product that combines music with images, offering, for the first time, the possibility of playing video on such a small digital device. 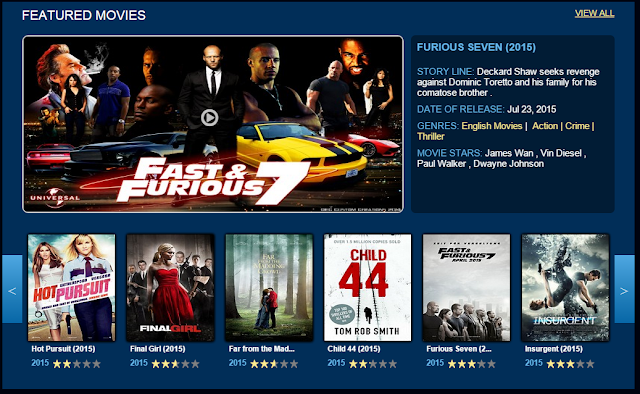 My Down load Tube offers Watch online and direct download for free without any hassle and have latest collection HD Movies, it support Latest collection of PC Games download.